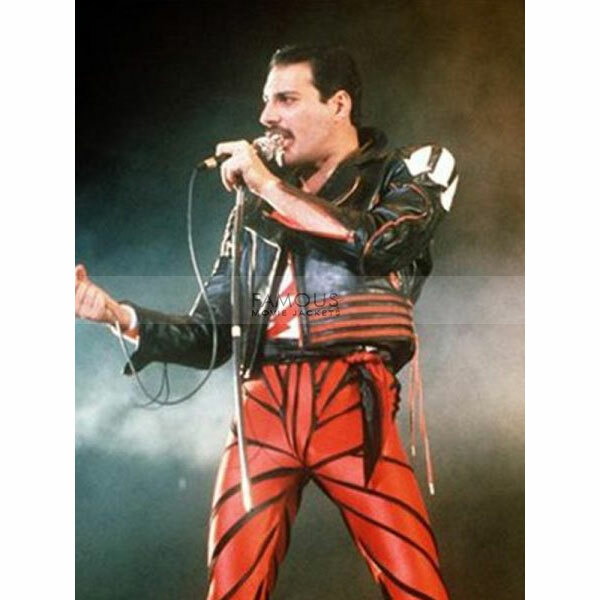 This jazzy outfit is inspired by rockstar Freddie Mercury which he wore in rock concert. 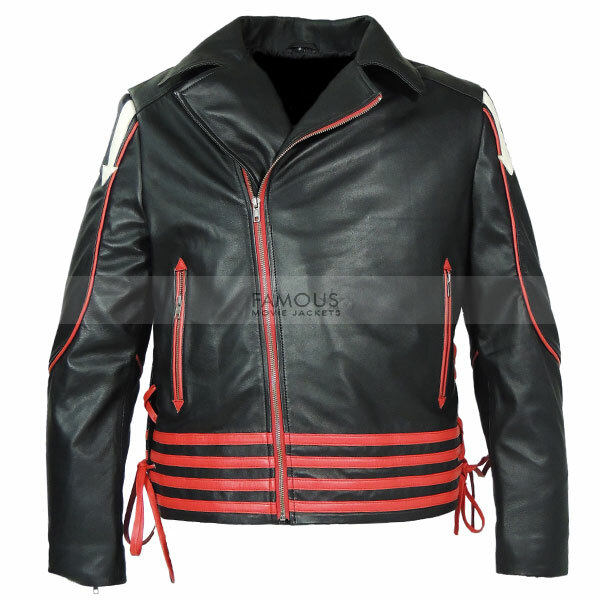 The Freddie Mercury Red and Black Leather Jacket is crafted of real leather while its inner is made of viscose. 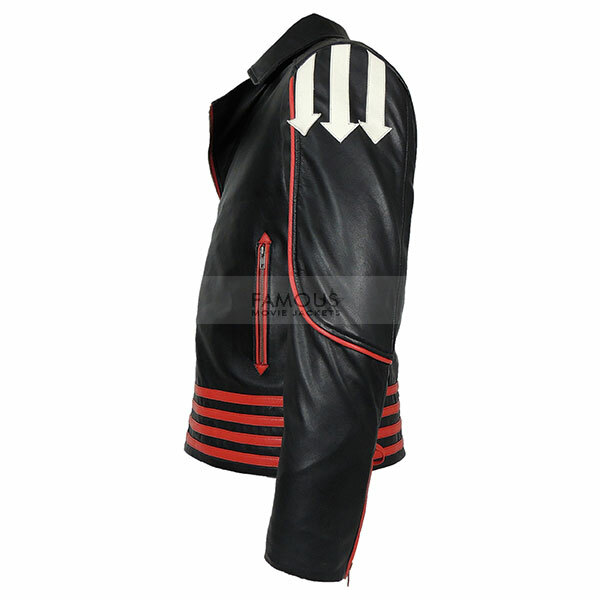 The jacket comes up in amazing features such as lapel collar, front YKK zip closure, two zipper waistline pockets and full sleeves with zipper cuffs. You can wear this jacket formally and casually. Grab this jacket and live fashionably. You nailed it famous jacket! I wore this jacket in club it is fab. Just received my parcel from Famous Movie Jackets and it’s too good, great fit awesome material. I will definitely order some more in future.